In an ideal ecosystem such as ours in the Iberian Peninsula, the Iberian pigs are bred and these will give rise to Bellota hams and ham shoulder of the Iberian breed with more flavour. Once you have tried them you will always know how to distinguish them for their special and peculiar tasty flavour. You will be surprised by its delicacy at first, but as your mouth assimilates the textures and aromas, it will intensify becoming more and more present in your palate. This flavour is unparalleled. A ham that has been elaborated to savour in each bite and that will continue to surprise us with new nuances until after its ingestion. Doesn't your mouth water?! How can you identify it and in what formats can you buy it? 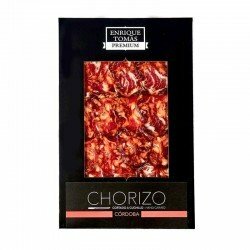 Iberian Bellota cured meats with this tasty flavour are very easy for ham lovers to identify. 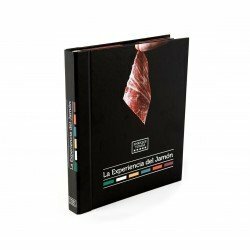 The elaboration process of this ham is carried out in a natural environment in accordance with the uses and customs of the ham experts, transmitted from generation to generation until reaching the quality product, always of the Iberian breed that it is today. Its external shape is somewhat more elongated and refined in relation to other Iberian pigs, its meat is somewhat rosier and when cut the fat infiltrated in the muscle is easily appreciated, such a characteristic and exclusive feature of the Iberian pig. For its packaging, it is recognizable by the orange label in all our stores. Will the tasty be your favourite flavour, will it become a must at your table? You can only know that, but we can assure you of one thing: its explosion in textures and aromas will not leave you indifferent. It will happen to you as with that dish that you don't eat often, because of how spicy, elaborate or exotic it is; but when you do, you say "OMG, what a pleasure is this! We can't get into your head, but we can make you think about that specialty that you love so much, combination of fruits from sea and mountain, for example, or any dish of Mexican or Indian cuisine. Actually, there isn't one in particular, think what would be yours? FLAVOUR in capital letters for all your senses. If you like it so much that you would eat it frequently, at Enrique Tomás we have the Iberian hams and ham shoulders with such a tasty flavour that will make you dream. 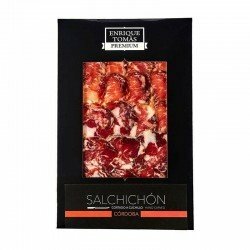 On the other hand, if you prefer to savour it from time to time or give it to someone, you can also opt for the Packs with “ready-to-eat” ham, or the individual sachets of sliced ham to open according to your needs. 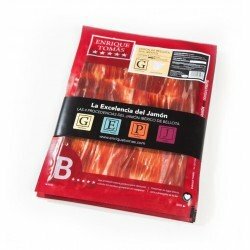 Ham, ham shoulder in all formats, sliced, whole or half boneless pieces, gift packs such as the famous "Flavour Box" with sliced ham, chorizo, salchichón and lomo of 100% Iberian breed, among many other options that will adapt to all your needs. Whatever your preference, don't worry, we have it for you!